The travails of Boeing’s 787 Dreamliner have given rise to reams of news coverage, mostly devoted to reporting on the plane’s various electrical-system mishaps, and the subsequent investigations into the problems’ likely sources and solutions. What has been left unexamined is why the problem occurred in the first place. Why, in other words, is a company with the vaunted engineering and manufacturing expertise of Boeing bedeviled by something as basic as a battery system? In the February 4 edition of the New Yorker, business and finance writer James Surowiecki addresses the question head on. His findings, which cut to the very core of Boeing’s current business model, won’t be comforting to anyone concerned with the safety of Boeing’s products or the company’s financial prospects. After giving the Dreamliner its due, dubbing it a “technological marvel” and “one of the coolest planes in the air,” Surowiecki proceeds to review Boeing’s recent history. Following the merger with McDonnell Douglas in 1997, the company’s corporate culture shifted from a willingness to place big bets on new products (the B747 being a prime example) to a risk-averse attitude in which innovation was stifled by the paralysis of analysis. 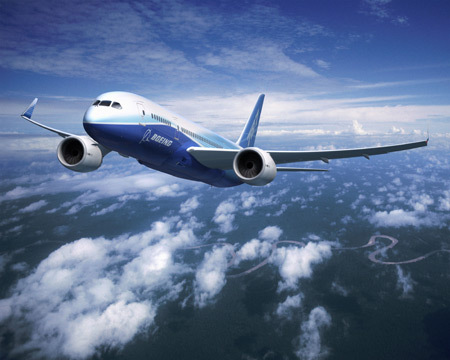 Under the new regime, the only way to get the proposed Dreamliner approved by Boeing’s top managers and board members was by distributing the risk among partner companies, all of which would be given responsibility for designing and manufacturing some of the new plane’s major components. To an unprecedented extent, Boeing became a consolidator of outsourced parts, building just 40 percent of the 787 itself. Working with 50 “strategic partners,” things did indeed go wrong, resulting in the Dreamliner’s rollout being delayed for three years. Those delays pushed the project billions over budget, which in turn ratcheted up the pressure to finalize the design and get production underway. Fast forward to today, and all 50 of the Dreamliners so far delivered have been grounded by various countries’ regulatory agencies. There is no quick fix, and some of the affected airlines are thought to be demanding that Boeing compensate them for the revenue lost to cancelled flights. Boeing, in other words, bet small and, as a result, lost big. At least partly in response to the service suspensions by Japanese carriers, Qatar Airways cancelled a scheduled 787 flight from London to Doha.